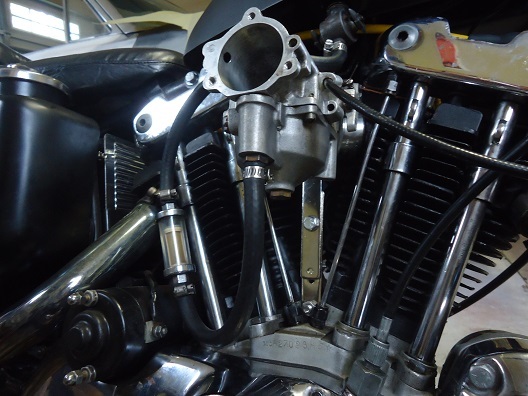 When purchased in 2012, this 1976 Sportster had a disassembled motor, wiring harness cut in half, and the entire electric starter assembly removed (motor, solenoid, pinion shaft and gear, and housing). Apparently after the previous owner started to fix the starter, one problem led to another, and the project sat abandoned for many years. The bike had a clear title, numbers-matching frame and motor, and original alloy spoke wheels (19" front and 18" rear). And like most non-running bikes, the price was right. I could have parted the bike out and made more than my money back, but as I have learned from past projects, there is no better feeling than bringing a dead motorcycle back to life. After buying the bike and bringing it home, I went through all the parts boxes, and wrote out a project planning guide. This included a rough outline of what needed to be done, best order of assembly, time frame, and approximate cost. 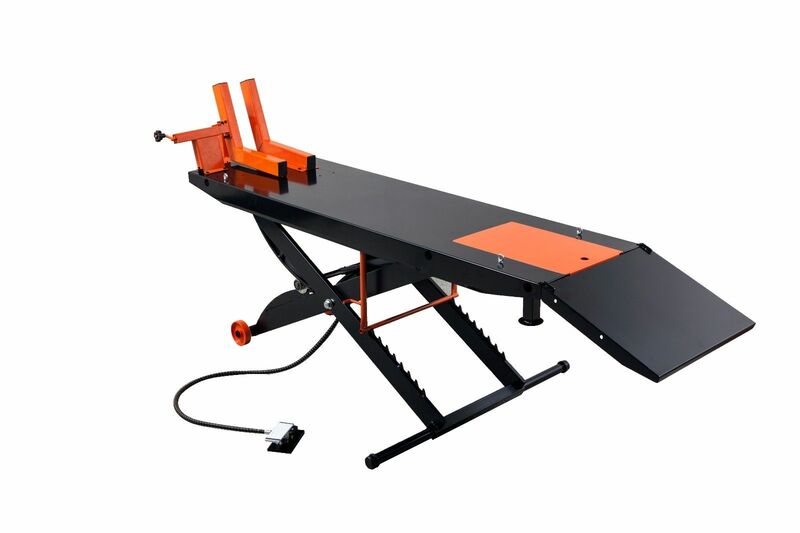 The plan was to get the bike together, remove unnecessary clutter, and shed unnecessary weight. No, not a 1,000-piece jigsaw puzzle, a 1,000cc jigsaw puzzle! I've tackled basket case projects before, and this one was a challenge. 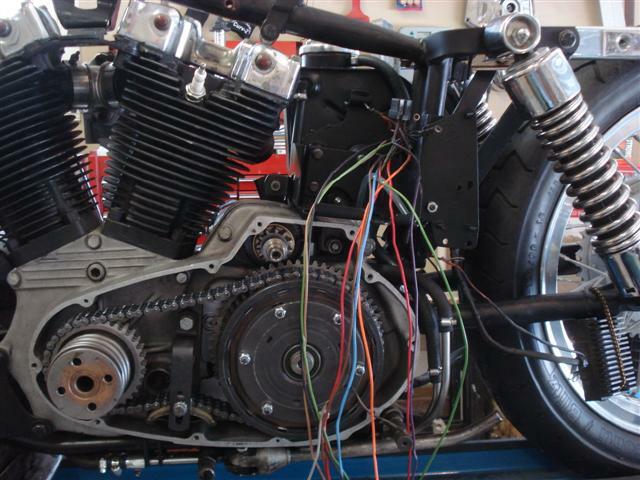 The electrical system on this Sportster needed complete rewiring. Everything electrical on the bike had to be rewired and/or removed, including the starter, solenoid, voltage regulator, circuit breakers, etc. 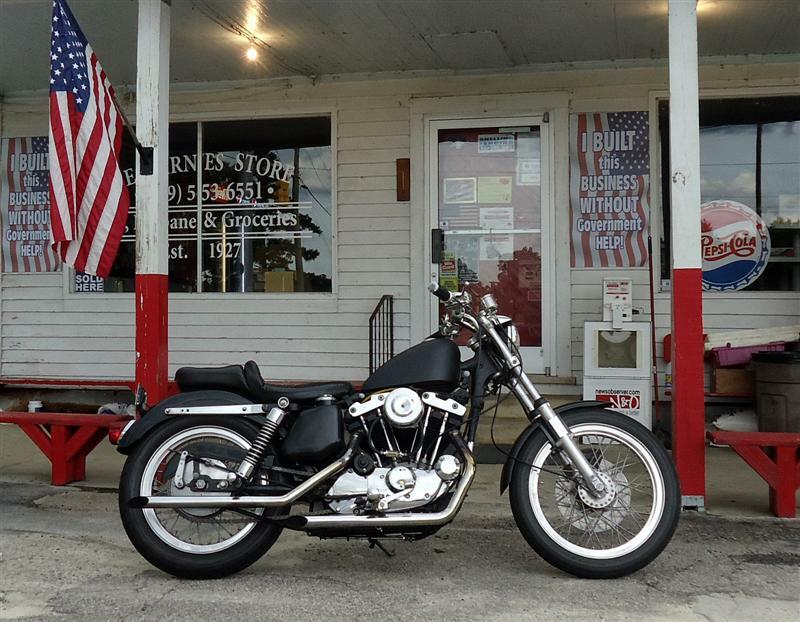 I replaced the original Sportster buckhorn bars with drag bars. 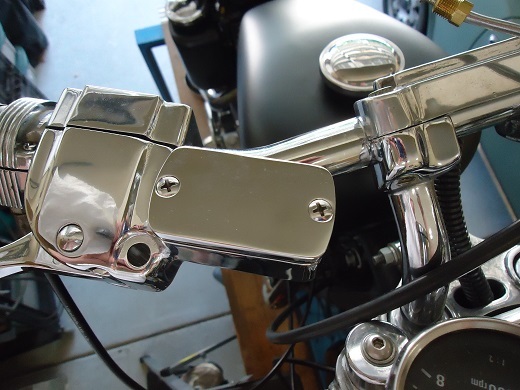 Because I was not going to re-use the bulky hand controls which came on the bike, wires for the start and stop buttons and turn-signal switches were no longer needed. They were tagged and removed. 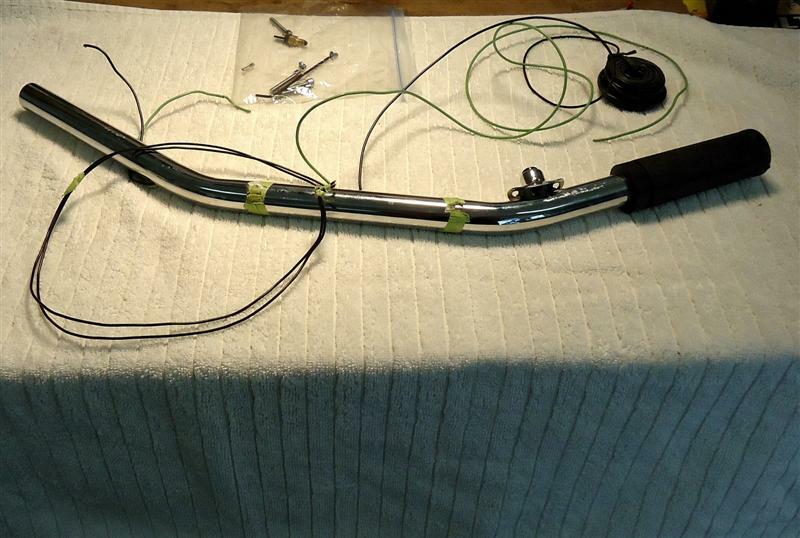 All wiring went inside the handlebars. 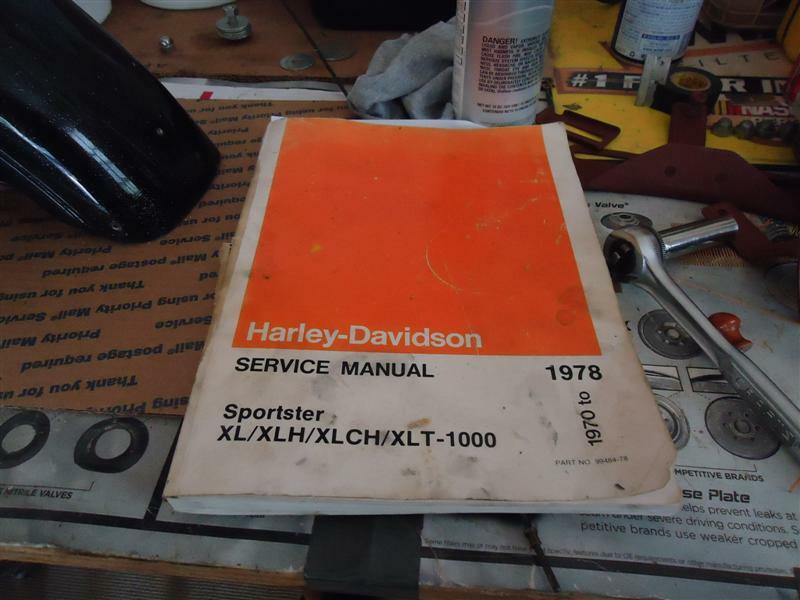 The two years that Sportsters had the crossover shaft to make them left-side shift (1975-1976) makes them harder to find parts for. Incidentally, I had no problems at all shifting or braking this bike. 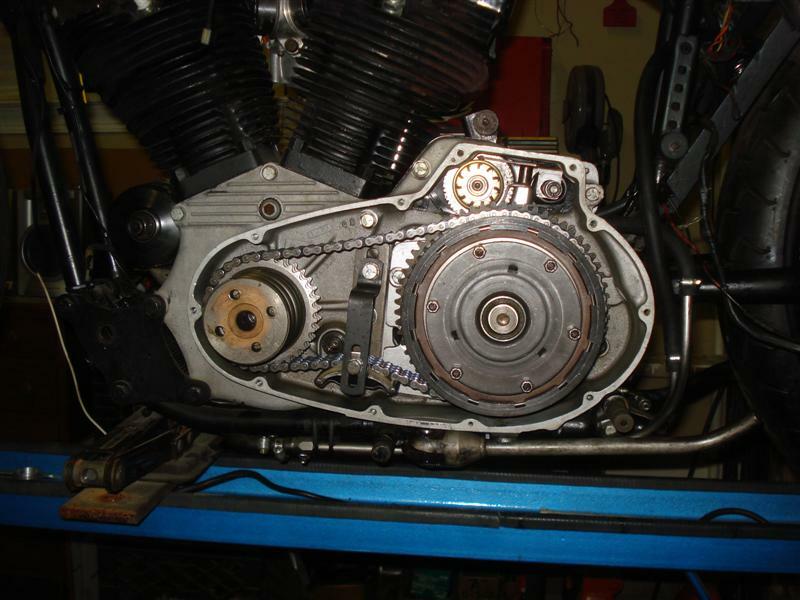 There are really only two reasons to remove a primary chain on a 1976 Sportster. 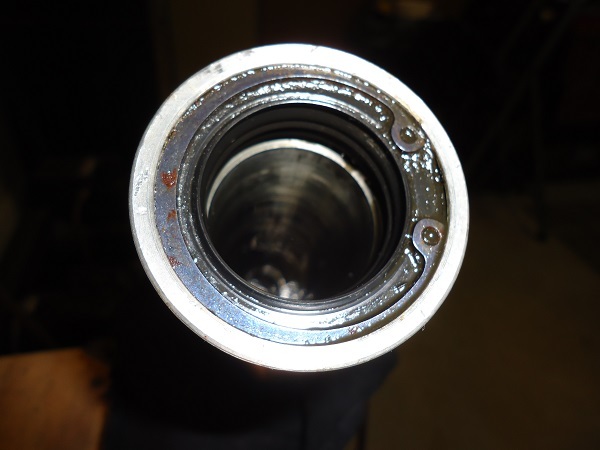 You need to get to your transmission, or you're replacing the starter Bendix gear. 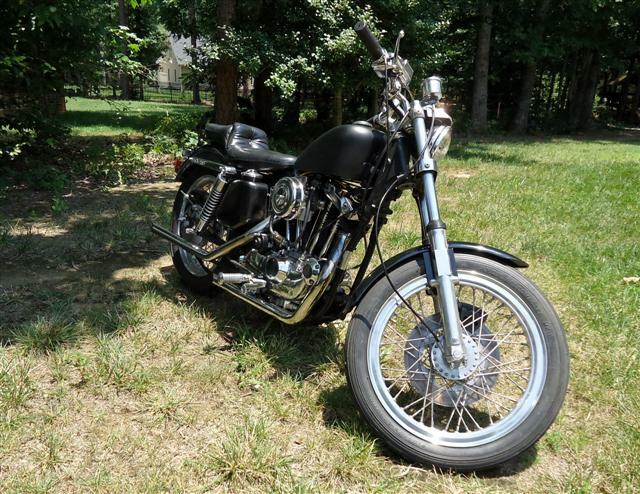 When I bought this Sportster project, it came with two different carburetors; the original 38mm Bendix and a S&S Super B. 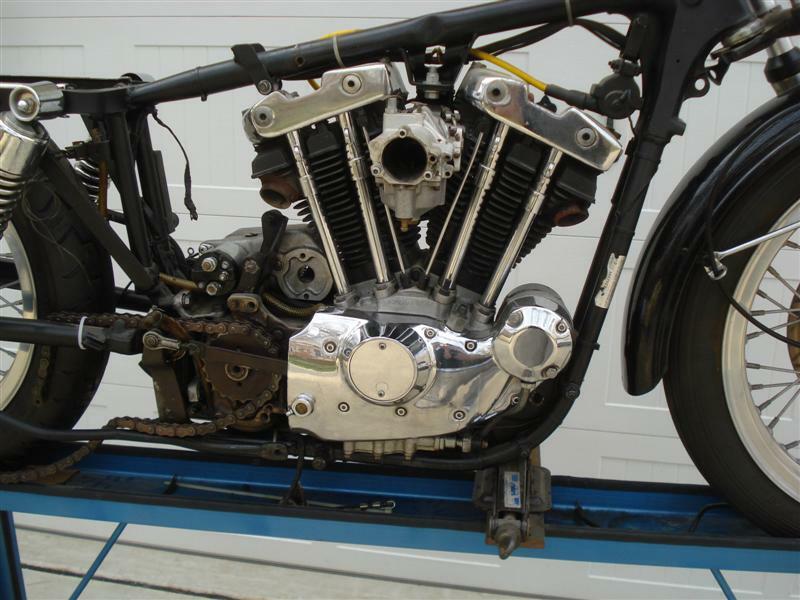 The B had come off a Harley Shovelhead, and the previous owner had de-jetted it down three sizes to run on the Sporty. 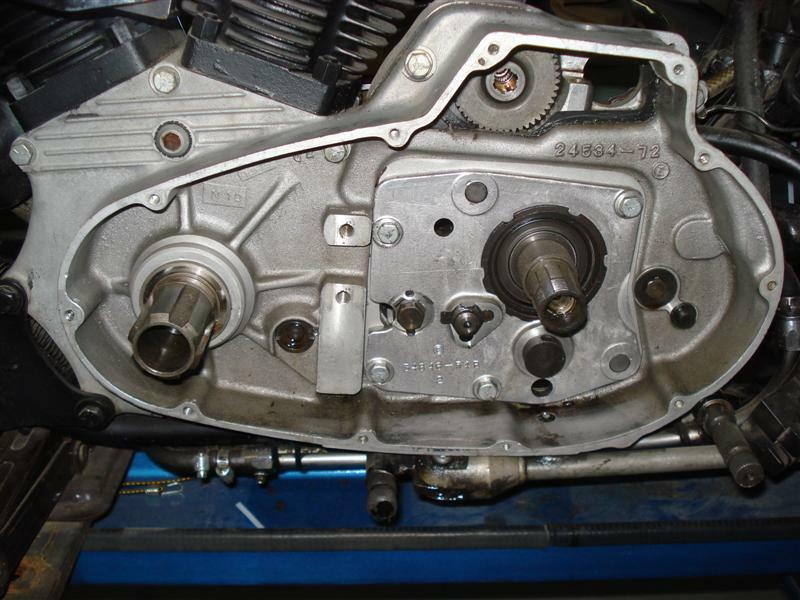 After the bike was assembled and running, the Super B carb revealed an off-idle bog. No matter how slow I rolled it, it would not help. Only after re-jetting the Super B several times, the bike run smoother and faster. I have three different service manuals for this bike. I've caught mistakes and misprints in all of them, so I reference back and forth from each. Having common sense and patience will guide you just as well. 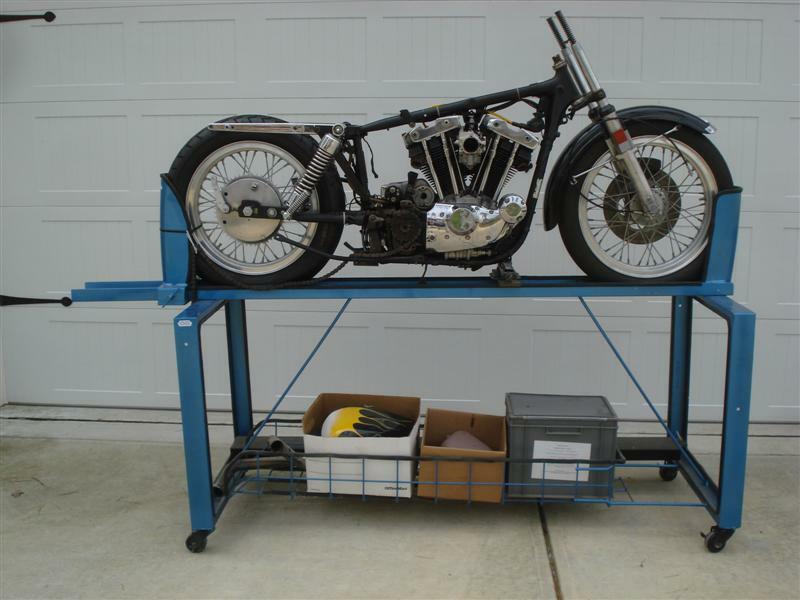 Over the course of two years (my original projection was one year) I reassembled the motor, re-wired the complete electrical system, and rebuilt the front disc brake to get this old Ironhead back on the road.